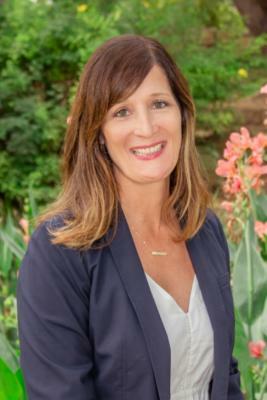 The Knox School of Santa Barbara, for Gifted and Talented Children, is pleased to announce that Mrs. Kari Van Bebber Ramirez has taken up the helm as the new Head of School, beginning this 2018/2019 school year. The school’s Founder, Dr. Angela Tanner, will continue in her role as Director. Serving as The Knox School’s Dean of Students for the past two school years, Mrs. Ramirez has shown a keen awareness and understanding of, and a respect for, students’ affective development as well as cognitive development. She has fostered a learning environment that is strengths-based and values the full spectrum of giftedness. Her approach to education embraces the essence of the mission of The Knox School and she quickly became a steward of the Knox mission, both in principles and in practice. Her inclinations have been a natural fit for the progressive and compassionate approach of the school. “Having the best interest of the Knox students and the future of The Knox School at heart, I am confident that Kari’s leadership, integrity, and grace will steward the School successfully into the future,” stated Dr. Angela Tanner. Mrs. Ramirez holds a Master’s degree in Marriage and Family Therapy, is a Licensed Marriage and Family Therapist, and is a credentialed Teacher (multiple subject K-8) and School Counselor in Pupil Personnel Services. The Knox School of Santa Barbara celebrated its 5th year earlier in 2018, having proudly served Gifted & Talented students in first through eighth grades since 2013, and proudly extended its program to Kindergarteners in Fall 2018. For more information, visit www.KnoxSchoolSB.org.